In order to meet the needs for low voltage applications, Mean Well power supply units range includes the enclosed type DC/DC converter models with single output. The SD and RSD series. With different input voltage ranges, the DC/Dc converters from Mean Well present a high reliability and are available with adjustable DC outputs of 5, 12, 24 and 48 volts. 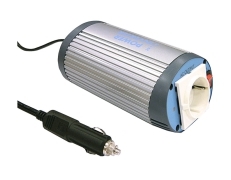 The available rated powers go from 15 to 1000 watts. In order to meet the needs for home appliance, power tools, office and portable equipment, vehicle and yacht applications, Mean Well power supply units range includes the enclosed type DC/AC inverter models. The TS, TN and A300 series. With different input voltage ranges, the DC/AC inverters from Mean Well present a high reliability and are available with AC modified sine wave and true sine wave outputs. The available rated powers go from 100 to 3000 watts. Wide range of solutions for your applications! Murrelektronik's range of M12 flange plug connectors is comprehensive and offers solutions for all different kinds of applications. One highlight are the food & beverage models, made of V4A stainless steel – their hygienic design makes cleaning very easy. Murrelektronik's M12 flange plug connectors are available as male and female with different pole numbers, ranging from 4- to 12-poles. There are also flange plug connectors for front and rear panel installation. Models with B- and D-coding can be used in fieldbus applications. More than 4000 possible insertion combinations. Interfaces from the control cabinet to the field are an important part of every flexible application. 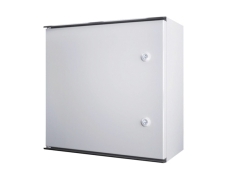 We provide solutions for your individual requirements with our comprehensive range of cabinet entry for you to connect to your controller inside the system. Front-panel interfaces make it easy to connect without even having to open the doors. More than 4000 possible insertion combinations provide maximum flexibility. Despite the high level of automation in the switchgear manufacturing process, there are still some situations which call for manual machining. The ergonomically coordinated assembly frames plus storage and transport trolleys help to create optimised working conditions. The new assembly frames from Rittal, Assemblex, are a revolutionary tool in the switchgear manufacturing process. The health problems associated with posture and comfort issues in the workplace will be part of the past. The assembly frames of Rittal are available in 3 different configurations with respect horizontal and vertical adjustment, working height and supported load. Every enclosure, with all-round accessibility, is a specialist - however particular the task in hand. This is application-oriented diversity: 6 enclosure types in 4 materials and more than 100 sizes. With: Fibreglass-reinforced polycarbonate; Cast aluminium; Sheet steel with high-quality coating; Stainless steel. Every aspect of your requirements is met. It goes without saying that all this is achieved in Rittal's familiar high quality, and to suit every security requirement. Ready for the toughest jobs.! A product first: Murrplastik Systemtechnik now offers a separable cable entry for pre-assembled cables compatible with protection class IP65. With KDL/C and KDL/D, Murrplastik Systemtechnik (Oppenweiler) presents two new cable entry plates for ultra-durable deployment in extremely tough industrial environments. Everywhere, in fact, where high mechanical stresses, moisture, acids, lyes, alcohols, mineral oils, fuels, greases and dust make life truly difficult for any piece of plant or system component. Although KDL/C already satisfies protection class IP54, Murrplastik goes even further with the KDL/D model: protection class IP65 is now also possible as a retrofit option even for completely separable systems. Both cable entry plates can be deployed at temperatures ranging from -30 °C to +100 °C. Murrplastik is well known by the innovative cable entry systems. The different available solutions enables the quick and simple installation of cables with or without connector. Is possible to use a cable entry system designed for inserting pre-assembled cables and electrical conduits in divider walls, junction boxes, control cabinets, etc. For other application, the cable insertion panel is a routing and fastening system for cables without plugs or pneumatic hoses. Murrplastik cable fittings in various versions. In plastic and metal. For EMC applications and for explosive areas. Multi-inserts make the fittings even more versatile. With metric, Pg and NPT threads. For EMC applications and for explosive areas. Multi-inserts make the fittings even more versatile. With metric, Pg and NPT threads. The Murrplastik cable entry membranes are produced of polyethylene and thermoplastic elastomer respectively EPDM. They are useful for electrical cables and pneumatic hoses used in control cabinets, systems and mechanical engineering. Wherever quick mounting is required with high packing density and cables must be protected, the single-cable en-tries are used. KDM is a cable entry system for cables without connectors. The various sizes fit to metrical cut-outs from M16 to M32. Small enclosures. This is application-oriented diversity: 6 enclosure types in 4 materials and more than 100 sizes. With: Fibreglass-reinforced polycarbonate: Cast aluminium; Sheet steel with high-quality coating; Stainless steel. Every aspect of your requirements is met. It goes without saying that all this is achieved in Rittal's familiar high quality, and to suit every security requirement. Whether one single connection or a complex system, the task presented is the same: a system’s components must be quickly and reliably connected with each other. Even for expansions, periodic maintenance work, or exchange of defective equipment, operational downtimes are reduced to a minimum. The new RST®POWER series, from Wieland Electric, is particularly designed for device engineering. With a current-carrying capability of 50 A combined with an extremely compact design, the connector fits almost everywhere. The 4-pole connector is based on the 5-pole variation, with one pole left empty. With just a few basic components, including connectors, panel mount connectors, distribution units and cable assemblies, complex installations from the distribution panel up to each point of demand can be accomplished. This saves time and costs. The original – with global approvals and available in stock for immediate shipping. Countless practical sizes and functional system accessories for all common applications make the AE compact enclosure from Rittal the standard solution. The compact enclosure AE from Rittal has an incredible success story, with more than 25 million units already in use around the globe. This impressive figure alone proves that there must be a lot more to the AE than just a compact enclosure or wall-mounted enclosure. 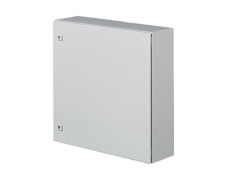 Compact enclosures AE means more efficiency, more flexibility, more quality and more safety. When Space is Limited, Comlight57 are a compact solution for the lighting needs of smaller machines and systems. The lighting elements are designed for various applications including work stations. Murrelektronik‘s Comlight 57 status light are especially compact. The light modules have a diameter of 57 millimeters and feature the latest LED technology. Comlight 57 is durable (lasting up to 100,000 hours), maintenance free and environmentally friendly since it consumes only a small amount of energy. It is suited for smaller installations and machines, for applications with confined space, or for use at workstations. An innovative prism cut on the light cover creates a very bright light. Low Voltage Magnetic Contactors and Relays, Thermal Overloads. Compact dimensions, modular expansion options and a power-saving design - those are the key characteristics of Mitsubishi Electric low-voltage switchgear products. The MS-N series includes magnetic contactors, thermal overload relays and contactor relays. DIN installation rail support and standardised terminal spacing make installation and wiring particularly simple. Rittal system climate control for doors offers holistic process protection. This includes the cooling of sensitive electronics in enclosures and cases for industrial process control, as well as server and network technology, regardless of the ambient conditions. But these are not isolated solutions with Rittal, everything is interconnected. Rittal fan-and-filter units are ideal for dissipating high heat loads cost-effectively. The pre-requisite is that the ambient air must be relatively clean with a temperature below the desired enclosure internal temperature. The entire range of fan-and-filter units is now also available with EMC shielding and all required rated voltages. The TopTherm-Plus roofmounted cooling units from Rittal has a flexible performance, only 3 mounting cutouts for 6 different output categories in 28 design variants. Targeted air routing in the enclosure. The internal air circulation is targeted and effective: The heated air is extracted centrally. Air exhaust occurs in the four corners, depending on requirements. The Rittal wall-mounted cooling units are practical and stylish. external, internal or partial internal mounting. This makes optimum use of the space available. Mitsubishi Electric offers a wide range of disconnectors and accessories to serve almost all variations of applications for switchgears. The circuits of the Mitsubishi Electric disconnectors DSN series are amongst the smallest compact circuit breakers in the world with electronic overload indication of this kind. The system is based, among other things, on well-known and proven microprocessor technology.